Originally published under the title "Egypt: Another Coptic Christian Soldier Dies in his Military Unit under 'Mysterious Circumstances'." A familiar scene recently took place in Egypt: yet another Coptic Christian soldier was killed in his (Muslim majority) unit. 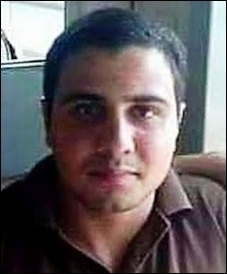 Bishoy Nata'i Bushri Kamal, 21, was found dead in his military unit in Cairo under "mysterious circumstances." The military told the family that he was found hanging, and thus committed suicide. However, Sami Bushri, the young Copt's uncle and family spokesman, said: "We completely reject this [assertion that he had committed suicide]." Such an act, said the uncle, contradicts the disposition of the slain youth, who was often cheerful and content. Moreover, Bishoy had recently gotten into a quarrel with a certain "Mustafa," a fellow soldier, said the uncle. And although there are injuries to his neck, indicative of hanging, injuries were also found on his back and abdomen, as well as facial scars—all of which indicate that he was tortured and murdered, claims the family, which is pursuing the matter with a lawyer. Perhaps most indicative that the young Christian was murdered is that every aspect of this episode has taken place over and over in Egypt. Read here for five more examples of Christian soldiers being found dead, followed by military claims of suicide or some other "accident," followed by the slain's families rejecting these excuses and pointing to conflicts with Muslim soldiers in the unit (including attempts to force the Christians to convert to Islam) followed by forensic evidence of murder — as what might be termed a "military jihad on Christians" quietly transpires in Egypt.